ATI Mobility FireGL V5000 is based on the ATI Mobility Radeon X700 middle class video card for notebooks and is designed especially for professional applications. Certified drivers für professional applications like AutoCAD, AutoDesk Inventor, Bentley Microstation, Catia, ICEM Surf, Solidworks, Discreet 3dsmax, Alias Maya, Alias Studio Tools, Avid SoftImage|XSI and Avid Express DV are the main difference. 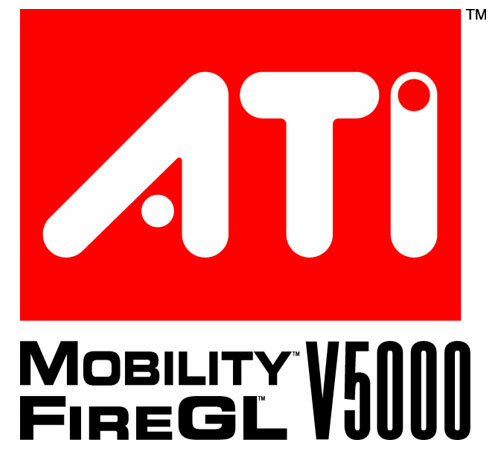 ATI Mobility FireGL V5200 is based on ATI Mobility Radeon X1600 for notebooks as probably the same chip was used. Only the Bios is different and allows the use of professional drivers (for CAD and 3D applications optimized). The standard Catalyst drivers can only be installed in a modded version. Therefore the V5200 becomes a X1600 (with the same performance). The professional drivers show a clearly reduced performance in games.